Ayudha Purushas in Hinduism are the personification of the weapons in the hands of Hindu Gods and Goddesses especially that of Vishnu and Shiva. Various weapons and emblems such as Vajra, Shakti, Danda, Khadga, Pasha, Ankusha, Gada, Trishula, Padma, Chakra and Dhvaya are personified either as male of female. Thus Shakti and Gada are personified as females. Vajra, Khadga and Danda are males. Chakra and Padma are eunuchs. The personification is merely based on the reference to gender in Sanskrit. Thus we have Gadadevi a popular deity in some regions. 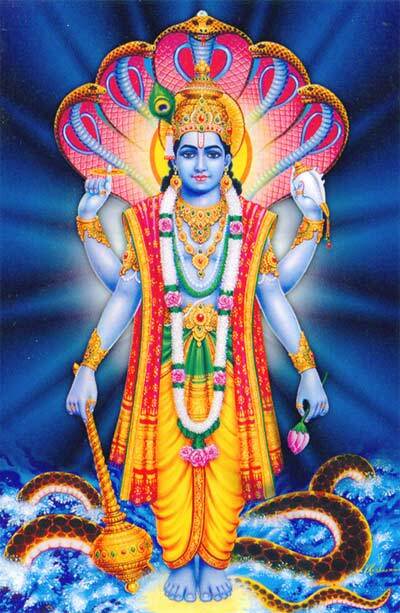 The personification of Trishula has to be a good looking black complexioned male with handsome brows. Shanka is represented as a white male figure with pretty eyes.